After an extensive Washington Post report found that the Environmental Protection Agency (EPA) issued fewer fines and penalties under the current administration compared to previous years, a new report by the agency shows that there was also a significant drop in inspections and evaluations in 2018. According to recent EPA data, the release of which was postponed due to the government shutdown, there were just 10,600 inspections and evaluations in 2018. Civil cases were at a 10-year low, and civil penalties were the lowest they have been in 25 years. The trending declines are a cause for concern because the EPA’s mission since it was established in 1970 has been to monitor, regulate and enforce environmental protection. Inspections and evaluations are key to upholding this mission. While budget cuts over the past few years can explain some of these declines and the push for self-regulation for companies started under former President Obama, these trends have only accelerated under the Trump administration. In 2018, EPA officials reported that criminal charges were brought against 105 defendants which amounted in 73 total years in prison for the sentences. This number is half what sentences were in 2017. 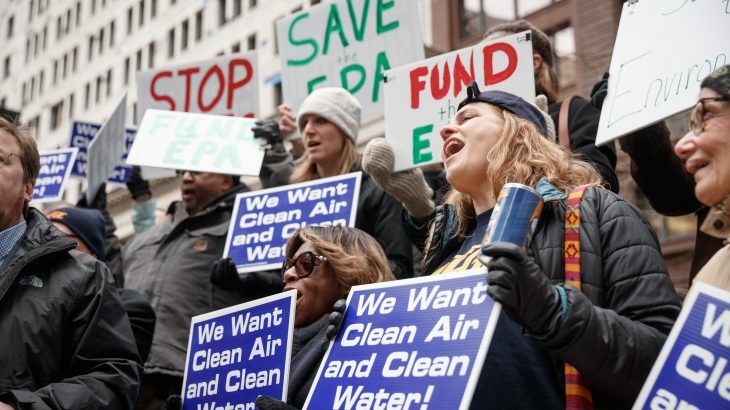 The EPA is quick to counter claims of going easy on enforcement, stating that the declines are the result of cooperating with companies to prevent pollution rather than fining polluters after the fact. In 2018, the EPA reported that it secured commitments to reduce 268 million pounds of pollution equaling $268 million worth of environmental benefits, but this number is about one-fifth of what was achieved in 2013.